I think Tandoori dishes are the most popular of Indian Dishes. The word “Tandoor” actually means a clay/brick oven. 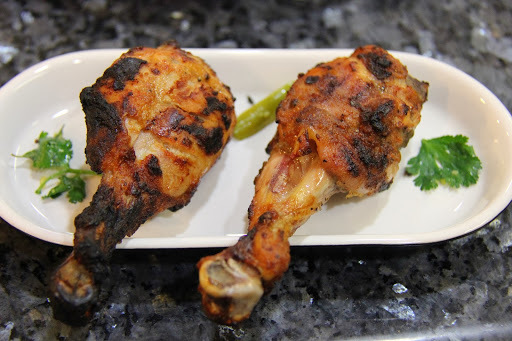 So any dish cooked in the Tandoor would be a Tandoori dish like the Tandoori Chicken, Tandoori Naan etc.Although this dish was not cooked in a Tandoor, over the years the marinade that is applied to this type of chicken came to be known as Tandoori Style Chicken. Preparation time:1 hour,marinade ahead of time. 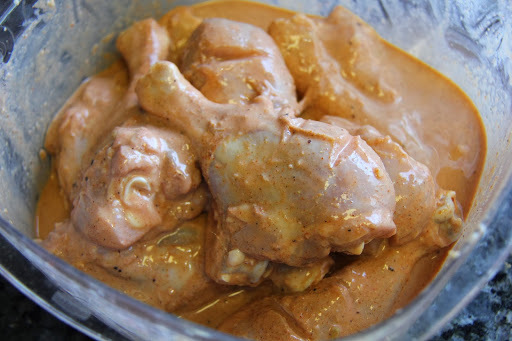 1.Combine all the powders in a bowl and add the yogurt, red color, salt, ginger garlic paste and juice of lemon and mix and coat the chicken pieces and let marinate for at least 4 hours in the refrigerator. 2.If cooking in the oven heat the oven to 400 degrees. 3.Before cooking coat the chicken with the oil. 4.If cooking in the oven ,cook the chicken under the broiler(racked 3rd from top) for about 5 minutes and then and bake in the oven for 30 minutes, check if it is cooked through near the bone, else leave in oven for 5 more minutes. 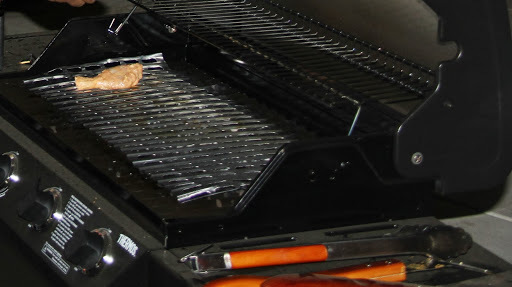 5.If grilling, start on a high temperature and place the pieces on your BBQ grill. Cook the pieces on each side for 4 minutes and flip to the other side and let cook for 4 minutes. Then turn the heat to medium -low and let cook for around 15 minutes flipping in between. Do not overcrowd your chicken on the grill. Grease your grill so that the chicken doesn’t stick.